2009 Blue TDM900 for sale - SOLD! 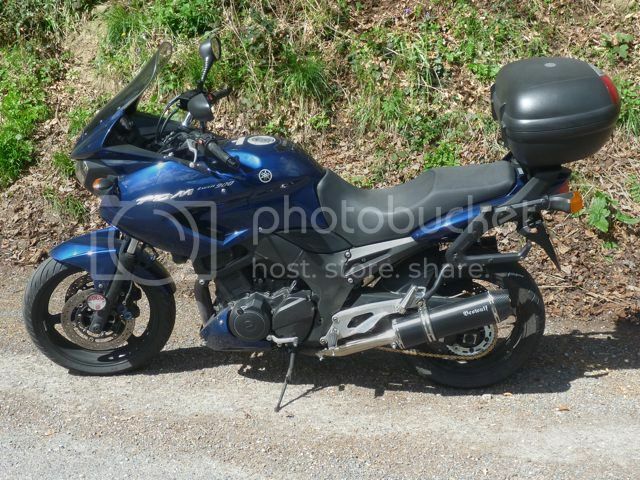 Yamaha TDM 900 Sports Tourer: fantastic touring bike (complete with full Givi lockable hard luggage), commuter or weekend warrior. 12 months MOT and last 3 previous certificates present. V5 and all 3 keys. Under 24,000 miles. Recent service history (3 years). Good condition; comfortable, economical and reliable. Beowulf black stainless steel silencers with carbon tips, Beowulf stainless steel radiator guard, GIVI black crash-bars, SW-Motech centre-stand, OSCO chain oiler, K&N filter. Airbox mod done. GIVI lockable panniers & top box can be removed when not in use. 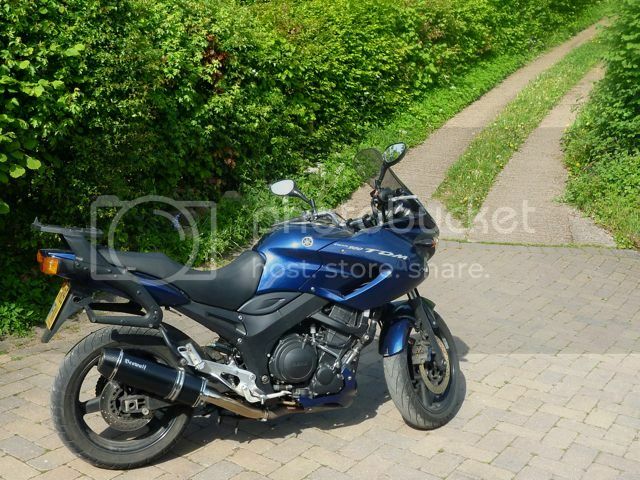 The bike is available to view and offers close to the asking price will be considered. 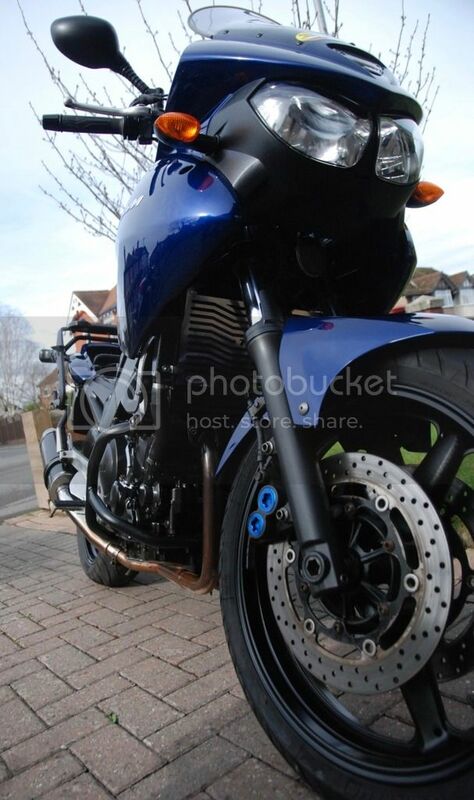 Please post if you have any questions about this bike, or text me on 07780 351141. Re: 2009 Blue TDM900 for sale - SOLD! That was quick! Great bike, the new owner has got them self a good deal. Sold it to a really good bloke - I think his wife liked our cottage views and the fact that Debs looked after her while Nick and I discussed bikes . So the three other contenders didn't stand a chance! 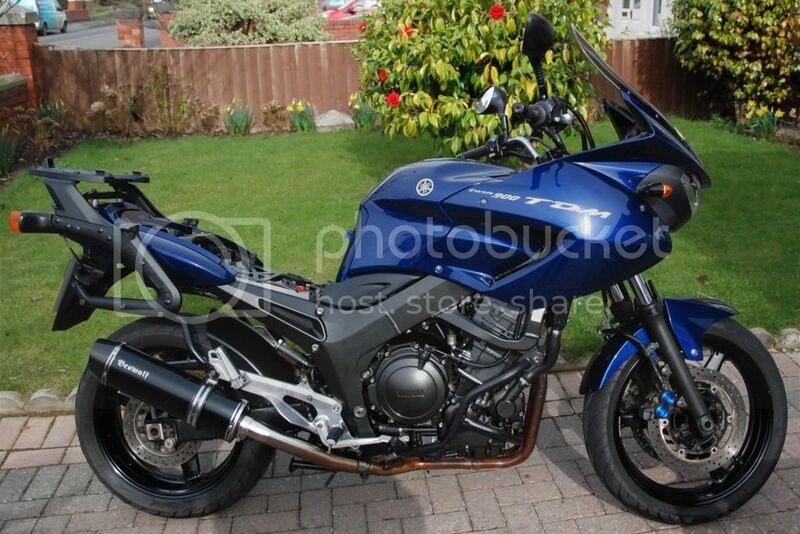 Nick texted when he got it home (Clevedon, near Bristol) to say what a great ride it was compared to his Beemer!